David vs. Goliath ... Adults vs. Kids ... Rookies vs. Pros ... Teachers vs. Students ... but who's gonna teach whom? The 2011 DC Youth Slam Team is going up against the illustrious Graffiti DC Slam Team in an ultimate battle of performance poetry. Who is really the best in DC? Is it the next generation of young poets? Email slam@splitthisrock.org for more info. Hello! I'm just sending along an announcement about our upcoming reading with the Poet Laureate Consultant in Poetry at the Library of Congress -- it's our last reading of the season, and we would love to invite you and your family/friends to attend. Thanks so much, and I hope to see you next Wednesday. W. S. Merwin, the 17th Poet Laureate Consultant in Poetry at the Library of Congress, will read selections from his extensive work. A book signing and reception will follow the event. Admission is free, and seating is offered on a first-come first-serve basis. For directions to the Library visit http://www.loc.gov/visit/directions.html. ........................on autopilot around the moonlit sky. .......tumbling from the sky and landing forever on my face. It wasn't worth the price. Kim Jensen's first novel about a turbulent love affair between a Palestinian exile and an American student, The Woman I Left Behind, was published in 2006 by Curbstone Press, and was a finalist for Foreword Magazine's Book of the Year. Her first book of poems, Bread Alone, was published in 2009, and her new collection of poems, The Only Thing that Matters is forthcoming from Syracuse University Press. Kim currently lives in Maryland where she serves on the editorial board of the Baltimore Review and teaches English at the Community College of Baltimore County. Jensen was on the panel Women & War/Women & Peace: International Voices at Split This Rock Poetry Festival: Poems of Provocation & Witness 2010. Arts Advocacy Update - Keeping the Pressure On! Mr. Boardman-Schroyer was quite forthcoming and straightforward. He told us that Councilmember Brown will be fighting to restore some of the cuts to essential human services in the Mayor's budget, ahead of restoring DCCAH funding. He urged the arts community, as a long-term strategy, to look to job creation and education funding as a way to supplement direct appropriations for the arts. Given the threats to services to our city's most vulnerable citizens, I am sympathetic to Councilmember Brown's position. But those of us who work in the arts know that for a homeless child, an arts program may be the only thing keeping her in school. And we know that the arts help drive the city's economy, attracting tourists and visitors and residents who pay taxes, returning $7 of economic growth for every $1 invested. We know that the arts are not a frill but a necessity, as essential as bread. I urge all DC residents to continue to bombard the mayoral and council offices with calls and emails calling for the restoration of DCCAH funding to the FY2010 level of $5.16 million. In the scheme of things, it's a tiny investment, yielding a huge impact. Many thanks! Also - the mayor has proposed a very modest increase in the tax rate for DC's wealthiest residents. Council Chairman Kwame Brown opposes that increase. I believe that the city's most privileged can pay a little more to help feed and house our neighbors who have been devastated by this economy. If you agree, please contact the Chairman to urge him to change his position. Many thanks to Robert Bettmann of the DC Advocates for the Arts for setting up today's meeting. Sign up for their alerts to stay up to date! Funding for the District’s arts agency – the DC Commission on the Arts and Humanities (DCCAH) - has been gutted in the last three years, from over $14 million just three years ago to under $5 million in FY 11. Federal arts funding through the National Capital Arts program has also been cut - two weeks ago - from $9.5 to $2.5 million. And now DC’s proposed FY 12 budget contains further cuts. The proposal is $3.92 million for the DCCAH to support all of the arts organizations, artists, and arts education providers in the District. Will the District be the home to only the National Gallery and the Kennedy Center, or will we have local artists and local arts organizations in our communities? The outcome of the current budget fight will provide some of the answer. A recent report from the National Assembly of State Arts Agencies notes, “The arts comprise a very small portion of state spending, less than one tenth of one percent. Reducing expenditures that modest won’t appreciably affect state budgets, but will damage the cultural sector’s ability to provide jobs, goods and services to communities.” DC arts support is now just $3.92 million within a total District FY 12 budget of $10.8 billion. Like homeless services, Temporary Assistance for Needy Families, and general education funding, arts and arts education funding must be protected. And that is where the DC Advocates for the Arts find ourselves as we prepare for Arts Advocacy Day – April 27, 2011. We are not asking for a bailout, but when financial supports are removed, opportunities for artists disappear, and our communities suffer. In FY 11 the DCCAH gave out over 500 grants. This is money that does a lot of good for a lot of people, and because no one group benefits in particular, this is easy money to cut. To support Split This Rock and the artists and community it serves please take a minute on Wednesday April 27, 2011 – Arts Advocacy Day – to ask policy-makers to support the arts in the District’s FY 12 budget. Contact Mayor Gray via email at eom@dc.gov or by phone at (202) 727-6300, and Council Chair Kwame Brown at kbrown@dccouncil.us or (202) 724-8032. Please ask the Mayor and the Council Chair to support the arts in the DC budget by restoring funding for the DC Commission on the Arts and Humanities to the FY 2010 level of $5.16 million. Together we can protect this essential and vital asset for our city. Robert is also Artistic Director of the dance company Bettmann Dances (http://quis.bettmanndances.com), managing editor for Bourgeon, a DC arts magazine written by artists (http://www.bourgeononline.com) and a consultant. You can contact him at rob@dayeight.org. April 27 is Arts Advocacy Day in DC - Please Contact Mayor Gray & the City Council! Funding for the DC Commission on the Arts and Humanities has been gutted in the last three years, from over $14 million in FY 09 to under $5 million in FY 11. The District’s FY 12 proposed budget contains further cuts; the current proposal is $3.92 million to serve all of the arts organizations, artists, and arts education providers in the District. That is $3.92 million within a total District FY 12 budget of $10.8 billion. Contraction in the non-profit arts community is to be expected in this economy, but policy-makers need to protect those least able to bear additional burden. To support the agency that we all benefit from, on Wednesday April 27, 2011 – Arts Advocacy Day – please take a minute to ask DC policy-makers to support the arts in the District’s FY 12 budget. Contact Mayor Gray via email at eom@dc.gov or by phone at (202) 727-6300, and Council Chair Kwame Brown at kbrown@dccouncil.us or (202) 724-8032 and ask the Mayor and the Council Chair to support the Arts, and to do that by restoring funding for the DC Commission on the Arts and Humanities to FY 2010 level – $5.16million. "If only he had listened," he says. in front of government buildings. has been tossed into a bonfire. under Pride burned in effigy. as air and trampled sand. with its wrists and neck in the guillotine. Alan King is a poet and journalist, living in the DC metropolitan area. He's also the senior program director for DC Creative Writing Workshop, a Cave Canem fellow, VONA Alum, and MFA candidate at the University of Southern Maine's Stonecoast program. King's been nominated for both a Best of the Net selection and Pushcart Prize. His first collection of poems, Drift, will be published January 2012 by Willow Books. King attended Split This Rock Poetry Festival: Poems of Provocation & Witness 2008 and 2010. A Variety of Calls for Participation, Proposals, Art, and Volunteers! 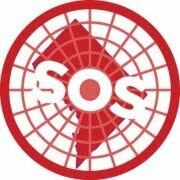 Save Our Safety Net DC (SOS) is in the midst of a campaign to raise upper income taxes in order to prevent cuts to safety net programs like homeless services and childcare subsidies. We would like to add a cultural/art arm to our campaign to help tell the stories that make our case for why DC needs to protect its safety net services. We would like to partner artists with the social service organizations that we work with to tell the story of how the drastic budget cuts of the past few years have impacted them and their clients. The medium for this storytelling can be anything the partnering artists would like to use. Photography, theater, puppetry, poetry, music, painting, prose... anything! The idea is that as artists we can present the human face of these proposed budget cuts and show that the cuts from the last 3 years have hurt people enough--we can't afford any more. We would need to present whatever is created sometime in early May. It's a short timeline, so simple projects are fine. The important thing is that these stories get out there. The Aesthetica Creative Works Competition is internationally recognised for identifying new artists and writers and bringing them to international attention. Previous finalists have achieved success and recognition with accolades including: writing commissions from Channel 4, selection to represent Australia in the Florence Biennale, exhibitions at DACS (London), John Martin Gallery (London), Flores Fine Art Gallery (New York), inclusion in the International Drawing Competition exhibition (Poland) and the National Geographic International Photographic exhibition. The Aesthetica Creative Works Competition represents the scope of creative activity today, and provides an opportunity for both new and established artists to nurture their reputations on an international scale. There are three categories: Artwork & Photography, Fiction and Poetry. Art empowers communities. That’s why Alternate ROOTS, Culture Works, and others introduce ROOTS Fest, an empowering national arts celebration in West Baltimore. Join us! Art unites communities. The “Highway to Nowhere” in West Baltimore bulldozed a thriving community 40 years ago, splitting it into two halves. ROOTS Fest is a catalyst to bridge the gap between the community’s divisions, and start new conversations about what people in a community can do and what they want. Art heals communities. Communities that come together around their culture are strong, resilient communities. ROOTS Fest will re-wire West Baltimore to help it overcome its challenges. For five days in June, tens of thousands of people will make history at ROOTS Fest, an empowering national arts celebration in West Baltimore. Joined by nationally-renowned artists and performers, the West Baltimore community will take over the 52 acres of green space that sits atop the Highway to Nowhere, and fill it with new life, color, and music. It will serve as an example for other communities around the country who face the same challenges as West Baltimore. For 35 years, Alternate ROOTS has been empowering people and communities through art. This June Alternate ROOTS is joined by Culture Works and other organizations in celebrating with ROOTS Fest, a festival of empowerment in West Baltimore. Be a part of ROOTS Fest 2011: Many Communities, One Voice on June 22- 26 in Baltimore! Volunteer for ROOTS Fest! – There are many opportunities to lend a hand before and during this groundbreaking festival! Contact Baltimore-based volunteer coordinator Jai Brooks (reverendjaibrooks at gmail dot com) at 443-413-2577. If you are interested in Artistic Programming, contact Cheles Rhynes (staff at mason-rhynes dot org). On March 31, 2010, Persis's stepson Kyle Strang (16) and their neighbor Prentice Gray, Jr. (19) were killed in a car accident. To learn about Kyle and the trip his father, Craig Strang, recently took to Israel and Palestine with thirteen of Kyle's Berkeley High School classmates to honor Kyle's memory, go to thekyletrip.blogspot.com. She can be reached at persisk@yahoo.com. Karim was on the panel The War is Not Over: Writing About Iraq and the Case of the Mutanabbi Street Coalition and was part of the We Are All Iran group reading by Iranian-American poets at Split This Rock Poetry Festival: Poems of Provocation & Witness 2010.
publishes short fiction, poetry, essays, drama, art and book reviews. Writers at all stages of their careers are invited to submit. August will not be read. each year. Black and White and Color work is encouraged. enclose one or more recent samples of a review. however, it may occasionally take longer for a manuscript to be read. website as well as in the print journal. They began by ordering all the troops home. You should have seen the parades. stamped "Courtesy of U.S. D.O.D." down the streets to anyone who wanted them. Then they marched down Pennsylvania Avenue. The doors of the White House were flung wide open. for a handshake and a plastic flag. from all the shredded fear laws. melt away on your tongue. Margit Berman is a writer, activist, psychologist, and faculty at Dartmouth Medical School. These days she's fasting for a morally just budget, meta-analyzing Big Pharma, organizing a Park(ing) Day event in Minneapolis in September 2011, and blogging about body image and size acceptance at http://thefullybelly.wordpress.com. Berman is published in If Poetry Magazine and has won awards at the Poetry-Free-For-All and Garrison Keillor's Green Light at the End of the Dock Festival of Romantic Poetry. Berman attended Split This Rock Poetry Festival: Poems of Provocation & Witness 2008 and 2010. Kevin Coval is author of the forthcoming, L-vis Lives! (Haymarket Books, Fall 2011), Everyday People and Slingshots (A Hip-Hop Poetica), an American Library Association Book of the Year-Finalist and the new chapbook, What I Will Tell My Jewish Kids And Other Poems on Palestine (Haymarket Books April 2011). Coval is the Co-Founder of Louder Than A Bomb: The Chicago Youth Poetry Festival, the largest youth poetry festival in the world, and subject of the award-winning documentary by the same name. Coval is Artistic Director of Young Chicago Authors and teaches at The School of the Art Institute in Chicago. The DC Youth Slam Team, coached by Jonathan B. Tucker, is a collective of teenage performance poets who write, perform and practice together, with coaching from professional poets. 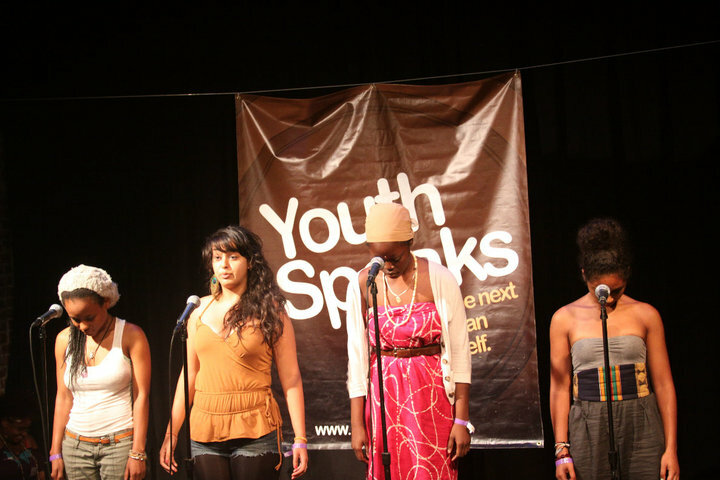 The DC Youth Slam Team has a rich history of providing young poets in our nation's capital with a chance to develop their art in a supporting, caring environment. Read more and support the team here. Featuring Sarah Browning, Cornelius Eady, Aracelis Girmay, & Patricia Smith. Hosted by Gretchen Primack. Six Split This Rock poets join the Institute for Policy Studies in drawing attention to the grossly bloated spending on the military worldwide. Featuring: Jonathan B. Tucker, Kim Roberts, Dan Vera, Sarah Browning, Mark Nowak, and Esther Iverem. Join Poets & Writers, Barnes & Noble, and Hyperion/Voice as we celebrate National Poetry Month with a series of readings inspired by She Walks in Beauty. April is both National Poetry Month and Sexual Awareness Assault Month. To mark this convergence, the Humanities Council of Washington, DC is partnering with Split This Rock to present a workshop on writing poems about sexual violence. Writing is an important tool in healing. In this afternoon seminar, we will look at model poems on the topic, and discuss how we can transform traumatic personal experiences (of our own or those we have witnessed) into art. We will examine point of view, tone, and the balance between the told and the implied. Limited to 12 participants. Open to men as well as women. Admission is free but pre-registration is required. To register, email Alicia Gregory at Split This Rock at: gregory@splitthisrock.org. This workshop is presented as part of "Live to Read," an annual program to encourage DC residents to read literature for pleasure. The 2011 book is the Pulitzer-Prize-winning play "Ruined," by Lynn Nottage. For more information on "Live to Read" see: www.wdchumanities.org. The lunch counter TV is busy. the hour in the village square. (they put the "pee" in "peace"). (while we said "no more war"). while the killing is televised. Tomorrow I will be back on the street. Dan Wilcox is a poet & peace activist who also hosts the Third Thursday Poetry Night at the Social Justice Center in Albany, NY. 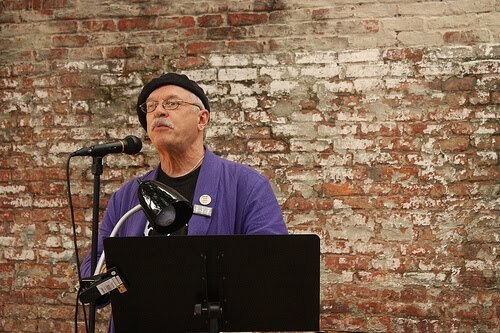 He is a member of the poetry performance group "3 Guys from Albany" & is an active member of Veterans for Peace. You can read his Blog at dwlcx.blogspot.com. Wilcox was on the panel The Public Role of Poetry: How to Build a Poetry Reading at Split This Rock Poetry Festival: Poems of Provocation & Witness 2010.